Solid wood floors are renowned for their beauty, and rightly so, but in Europe engineered floors are now preferred. 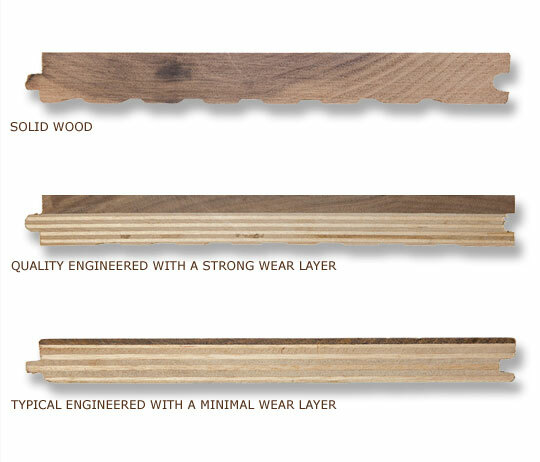 An excellent value, engineered wood floors will soon become the premium standard in the U.S. Engineered wood floors are especially stable and work well over energy-efficient radiant heat systems. Engineered planks can have the same long life expectancy as solid wood planks, and when the time comes, may be refinished just as readily.